1. From the old San Rocco church, can I get a record for a baptism or a wedding? Yes, as you know, the old San Rocco church has been closed since the early 1990s. The new San Rocco Oratory only has records dating back to 1999. To get a record of baptism or marriage from the old San Rocco church, please contact the Archives Center of the Archdiocese of Chicago, at 711 West Monroe, Chicago, Illinois 60661. That's where all the records are stored, from closed parishes. If you wish, you can go directly to the sacramental records department. You can also call them at (312) 534-4410. Their email address is jtreanor@archchicago.org. 2. How do I reserve the hall, for dinner or a similar, special gathering? As you know, San Rocco Oratory has a new hall, for your convenience, directly to the east of the parking lot; it's named after St. Anthony. The address is 330 East 21st Street. You are welcome to schedule receptions, dinners, and other events in this hall. As of now, the hall is regularly used for dinners celebrated in conjunction with anniversaries, baptisms, funerals, weddings, and quinceaneras. There is a complete kitchen, as well as dining facilities for up to 200 people. The hall is air conditioned and comfortable. To reserve the hall, call Yvette Betancourt at (708) 654-7497. Se habla Espanol. If you wish, you can usually meet her in person before Sunday Mass at 10 a.m. or afterwards, about 11 a.m., at San Rocco Oratory, 315 East 22nd Street. She will be glad to help you. 3. Como reserver el salon? Ilama Yvette Bethancourt, (708) 654-7497, ahora. Yvette es muy bondadosa. Como siempre, es possibile encontrarlo despues de la misa dominical, c. 11. El salon esta disponsible a todos, especialmente el pueblo catholico y las familias en la vecindad. 4. How do I make arrangements to remember the intention of a deceased relative, especially at Mass? Usually, you would contact Jeanette Dandurand at (708)275-8881; that's her cell phone. She will then schedule the intention on a day that is available. You can also reach her by phone at (708) 385-6118. As a general practice, at Sunday Mass, the name of the deceased is mentioned in the Eucharistic Prayer, at the memento ("remembrance") of the dead. If a deacon is present, he would read the name(s) aloud; this listing is called the dyptychs or diptychs. It is an ancient Roman tradition. A visiting priest, however, may or may not mention such names; the practice is optional, at the discretion of the presider. For further information, see the page in this website, Mass Intentions. In some parishes, you hear names mentioned during the General Intercessions, the Prayer of the Faithful. Our tradition, however, is for the petitions for the prayer of the faithful to be general in character, without mention of the names of intentions of individuals. Moreover, since the petitions are sung, individual names might or might not be heard clearly and distinctly, in sung form. Overall, then, it seems better for such intentions to be mentioned at the customary places in the Eucharistic Prayer. In the first prayer, the Roman Canon, there is a memento of the living shortly after the Sanctus, before the Last Supper narrative. The remembrance of the dead follows later on in the prayer, after the memorial section. In all the other Eucharistic Prayers, such remembrances occur together, in the last section of the prayer. 5. How do I arrange for an anniversary Mass for one of the faithful departed? Usually, there are two times for such a Mass: thirty days after the date of death or the funeral (the "Month's Mind") and one year afterwards. Several families at San Rocco have made arrangements to have such a Mass on a weekday evening, say at 7 p.m., in memory of a deceased member of the family. On one occasion, when we had no other choice, we did a commemoration at Sunday Mass, with some special songs and prayers at the end of Communion, as well as a brief eulogy. In general, in the future, that would be done only by way of exception. In any case, to make such arrangements, please call Father Gilligan at (708) 331-5485 or send an email to acp@acpress.org. 6. O.K. So, what's an oratory? An oratory is a place for liturgy and private prayer, for a determined group of the faithful. Unlike a parish church, it does not normally have the full range of services that would be expected. Like a mission, an oratory can be affiliated with another, full-service church, such as St. Agnes. Or, an oratory can be free-standing. Some oratories are really huge, such as that of St. Anne de Beaupre' in Quebec. They have plenty of Masses and other liturgies, often. It all depends on the need, as the bishop decides. 7. Why did Cardinal Bernardin permit this Oratory? Most Rev. Raymond Goedert was vicar general in 1998. In that capacity, he formulated the statuta, the foundational principles of the oratory. In that document, there were two purposes given: provision for people who were Italian and for promotion of devotion to St. Rocco. At least on the part of those who wanted to set up the oratory, the real reason, it seems, is that there was and is a vibrant community, people who knew each other well, who had long-term relationships, and who wanted to continue to celebrate the liturgy together, as they had done for generations. Their number was adequate, and their funds were sufficient. Moreover, the community that had been built over the years is itself precisely what the Church is called to be and what a parish itself is meant to be: a family of faith. Pastorally, these reasons seem to the rector to trump all other negative arguments. To be fair, all this is a matter of interpretation, not evidence. On such questions, even good people can certainly be of different perspectives. Anyway, what is decisive now is that our current diocesan bishop, Blaise Cupich, has always supported the oratory, as has his vicar, Most Rev. Joseph Perry. There can be no doubt that the Archdiocese supports the community of San Rocco and will do so for a long time to come. 8. So, what is a rector? The term is used in Latin for the priest who is assigned by the bishop to take care of a church, especially to see to its maintenance and to the regular celebration of the liturgy, as well as financial administration. In the U.S., we have taken the term pastor from the Protestants and put it in wide use. In English, we have often spoken of the rector of a cathedral or a seminary, in that case retaining Latin usage. In practical terms, we are told that the rector of San Rocco has most of the responsibilities of a "pastor," except that not all services need be provided. There are, then, fewer obligations, as well as less compensation. Certainly, the rector cannot be obligated to provide for all Italian Americans in the southern suburbs, nor for any particular territory. It seems just and right that the community of San Rocco should have whatever services Catholics are entitled to, such as hospital visitation, the full range of sacraments, and the usual course of celebration of the liturgy, including the Eucharist and the Liturgy of the Hours. This end is effectively achieved by assigning a priest to the oratory, as rector. The size of the community is small, to be sure; but so are many communities that are actually parishes. Many Protestants would be delighted to have a church family with the vitality, numbers, and liturgies of which St. Rocco can be proud. In fact, precisely because of its size, St. Rocco Oratory has a stronger sense of family and community than would be found in churches that have more than one Eucharist on Sunday. The oratory is closer to the ideal size of a parish than most of the parishes in the Archdiocese. Veni et vide. 9. Is it "San Rocco" or "St. Rocco"? You use both. Which is it? The official name of the oratory, as that of the parish in the same location, is "San Rocco." That is how many of the people born in Italy speak of the oratory. However, many of the people born here say "St. Rocco." So, on these pages, we use both. The same saint is also known in French and English as "St. Roch." That's correct, too. 10. In this website, you often speak of Archbishop Blase as our bishop. Isn't Most Rev. Joseph Perry our bishop? What's the difference? More important than all these roles is that he has the fullness of sacramental ordination, given to the apostles, in such a way that all priests and deacons depend upon him for the legitimacy and, some would say, the validity of their ministry within the diocese. Moreover, it is his duty to maintain communion with the universal Church, including Pope Francis, the Bishop of Rome. It is not that the Pope governs through Archbishop Blase. It is rather that we maintain communion with our bishop; he in turn maintains communion with the Pope. It is important to emphasize the sacramental role of the bishop of the diocese, because that is the foundation for all his other functions and for the vitality of the local Church itself. This is why we speak of Archbishop Blase as the "bishop of the diocese" or the "diocesan bishop." In legal terms, the State of Illinois identifies him as the "Catholic Bishop of Chicago." Most Rev. Joseph Perry is called a "titular" bishop. He has the title of the role, as well as some limited expression of it. James Coriden, a canon law expert, says that such a bishop, in his capacity, has no teaching or legislative authority; instead, he is limited to administrative work. As a general rule, even that authority is restricted. In this case, as vicar, Bishop Perry administers the region of Vicariate VI, our section of the diocese. He does not have this leadership in other vicariates. However, he is especially important to us, since his advice and consent will be critical to any pastoral decisions that are made. He also has considerable wisdom and knowledge to impart to us. Even though he may not teach or legislate as a bishop, he is still a priest of the diocese and so can teach in that capacity; even if he does not legislate, we should work with him, as he implements laws and policies that apply to us. It is in his capacity as vicar that he matters very much to us. There are two other Catholic bishops in this region, one for the Ukrainian Catholics, another for the Syro-Malabar Catholics. In territory, both dioceses are much larger than the Roman Catholic Archdiocese of Chicago; both dioceses are in full communion with the Pope, with Archbishop Cupich, and with us. Locally, there are also several other Orthodox bishops, not yet in complete unity with us; for example, there is a Greek Orthodox bishop, as well as one for the Serbs, another for the Ukrainians, and others. In general, Orthodox Churches and their bishops possess the fullness of the Catholic faith; however, at the present moment, they are not yet in full communion with us. 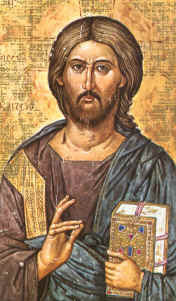 Unlike the Protestants, the Orthodox and their hierarchy have preserved the apostolic teachings and the sound tradition of the early Church. As a rule, the Orthodox bishops have legitimate authority and leadership. As far as the sacraments are concerned, their efficacy and power come from Jesus Christ. The Eucharist celebrated by a hospital chaplain, in a small chapel, has the same Christ, risen and active, as the Eucharist celebrated in a cathedral by an archbishop. What counts are the principal agent of the sacraments, Jesus Christ, and the community in which they are celebrated, the unity of the Holy Spirit, that is, the Catholic Church.